Don't overreact to Game 1. Many teams have lost Game 1, and looked terrible in the process, and have come back to win the series. Even though it is the playoffs, many times Game 1 is still a "trying to get your feet wet" situation. 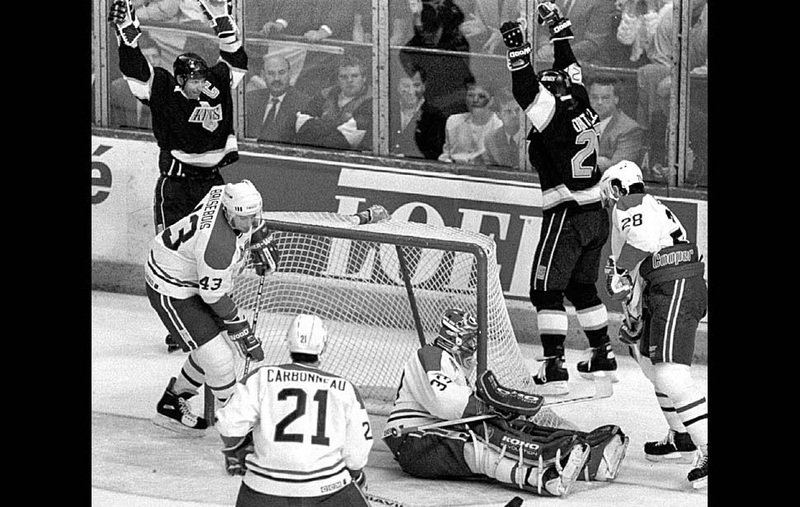 Take the 1993 Stanley Cup Final as an example. The Kings came in after a tough 7 game defeat of the Leafs, while the Habs were resting after easily beating the Islanders in 5. The Kings came into the Montreal Forum and took Game 1, 4-1. Montreal won the next 4 games to win the Cup. Don't panic about a team until they lose at home. In every Stanley Cup Final from 2009-2011, the home team won the first two games. Don't panic about being down 2-0. 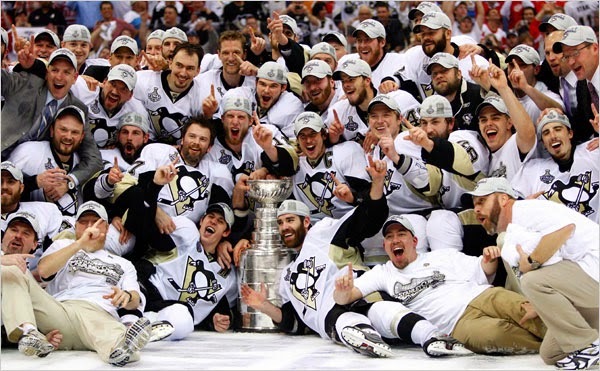 In 2009, the Penguins came back and won the next two at home (and eventually won the Cup). In 2010, the Flyers came back and won Games 3 & 4 at home. Then in 2011, the Bruins lost Games 1 & 2 in Vancouver and went on the win the Cup in 7. As I said before, the playoffs are great, but they aren't without their warts. Here's a couple of things I would like to see changed during the playoffs. 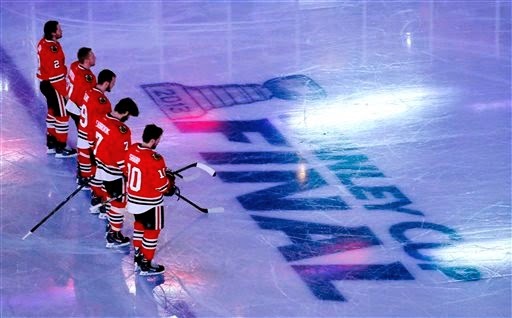 Sing both anthems during the Stanley Cup Final. It doesn't matter to me if Vancouver is playing Ottawa in the Final, or the Bruins play the Blackhawks in the Final. Both the Star Spangled Banner and O' Canada should be sung. Every game of the playoffs is nationally broadcast in both Canada and the US. However, if it's a game that features only American teams, only the American broadcast network logo appears on the boards. I've also have seen series between an American team and a Canadian team and the Canadian broadcaster's logo only appears on the boards during the games in Canada. This issue has improved in the past couple of years. The Canadian broadcasters' logos have appeared on the board in the Conference and Stanley Cup Finals, despite the teams and game locations. This may seem like a irrelevant issue to some, but the NHL wouldn't think twice about treating NBC like a minor broadcaster. CBC and TSN (Sportsnet for the next 12 seasons) shouldn't have to accept that treatment either. Just some thoughts from my couch and some will agree and others won't.